Legendary Entertainment is extending Jeff Lemire’s Eisner Award-winning Black Hammer universe, one of the world’s most popular comic franchises, into television and film. Lemire will serve as an executive producer with Dean Ormston, the co-creator and illustrator of the comic series. Black Hammer is an epic multi-book saga of interweaving stories — both past and present — detailing the trials and tribulations of the heroes as well as the villains of Spiral City. It’s a genre-bending series that pushes the limits of what a superhero story can be, while always creating deep metaphors for human experiences. In Black Hammer, the characters come first, and the superhero aspects become the canvas to tell their stories. Published by Dark Horse Comics, the Black Hammer universe was conceived by Lemire in 2008 and debuted in 2015. The comic series has received two Will Eisner Comic Industry Awards including Best New Series in 2017 and has received six other nominations. In addition to the Black Hammer universe, Jeff Lemire has also published graphic novels Essex County and Sweet Tooth. Other projects of his that are currently in development for film and television include Descender and A.D. After Death at Sony Pictures, Underwater Welder with Ryan Gosling attached to direct, Essex County at the CBC, Gideon Falls at Hivemind, and Plutona at Waypoint Entertainment for which Lemire is writing the screenplay. Dean Ormston is an award-winning British artist working professionally for over 25 years on comic books, animation and concept art. His work has been published for all the major comic companies including DC, Marvel and Dark Horse on titles such as Lucifer, Sand Man, Swamp Things, Spider-Man, Superman, The Crow, Judge Dredd, and The Predator. He has provided concept art for animation company Mainframe, including designs included on the groundbreaking tv series Reboot and concept art for a new series with Ben 10 and Big Hero 6 co-creator Steven Seagle. 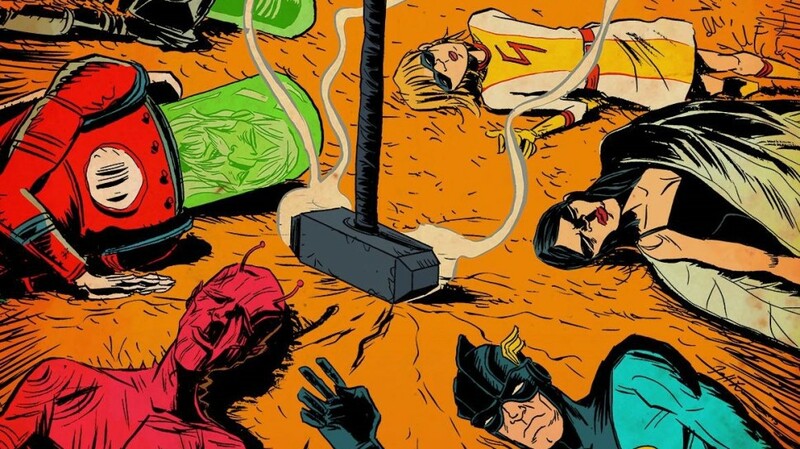 The post Legendary Developing Black Hammer Comic Series for Film & TV appeared first on ComingSoon.net.